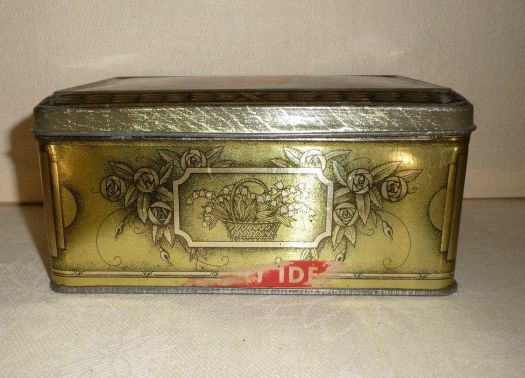 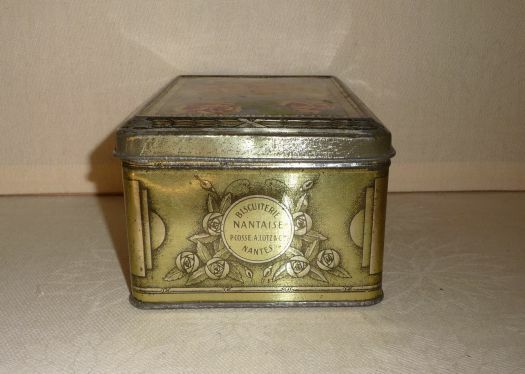 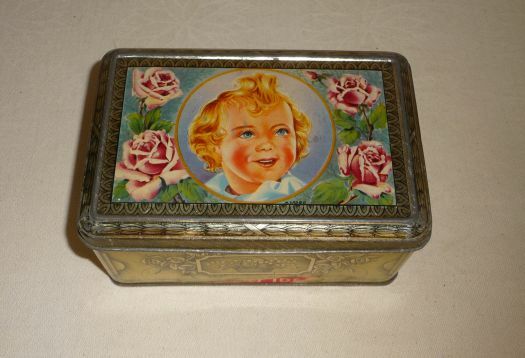 Nice tin box for small cakes, around 1960. 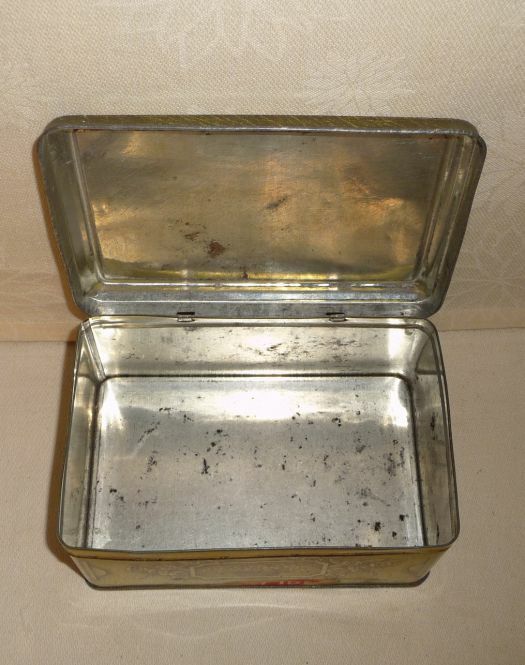 Good condition, some black points inside (beginning of oxydation). 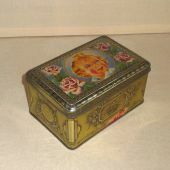 18 cm x 12 cm ; height 8 cm.